Jack Ruby Productions "Extended Mixes"
The Eagles, Black Disciples, The Black Survivors, Skulls, Vinnie Taylor & The Revealers and more. Lawrence "Jack Ruby" Lindo is no doubt best remembered for producing Burning Spear&apos;s albums on Island Records. But do a bit more digging into the man&apos;s work and you&apos;ll unearth a whole lot more ital roots recordings like the ones featured here: strictly roots and culture music with some big horn lines! All tracks here, custom-mixed by me in showcase style. Big respect to the man Lawrence Lindo R.I.P. Zion high bredren. 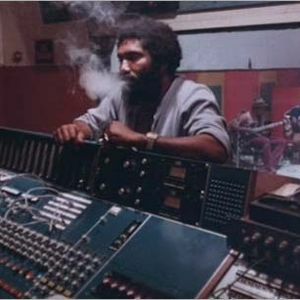 (note: I&apos;ve credited the dub versions as being by the Black Disciples, which was what Ruby called his instrumental band, because the sources aren&apos;t clear as to which dub engineer actually mixed which track). Greetings bredda Carl. Nuff thanks and respect for enjoying these mixes of mine. I understand completely the nuisance of streaming music from a computer and I&apos;ll sort some mp3 links out soon. Blessings.